The Britannia is a popular waterside hostelry that still bears the hallmarks of its ancestry as a 17th-century coaching inn. Most of Fron Haul’s rooms have amazing sea views - and picture windows that make the most of them. If you like your self-catering served with a slice of history and ancestry you’ll love Grade II Star-listed Llanfendigaid, the ‘Parish of the Blessed’. 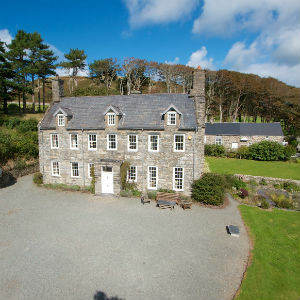 This gorgeous Georgian guest house is in the pretty southern Snowdonia village of Pennal between Aberdyfi and Machynlleth (it’s the ultimate coast and country location). Immaculate, stylish country house hotel, grand in appearance with landscaped grounds. Beautiful southern Snowdonia location, where mountains sweep down to the Mawddach Estuary. High standards, and attractive, beautifully furnished bedrooms.